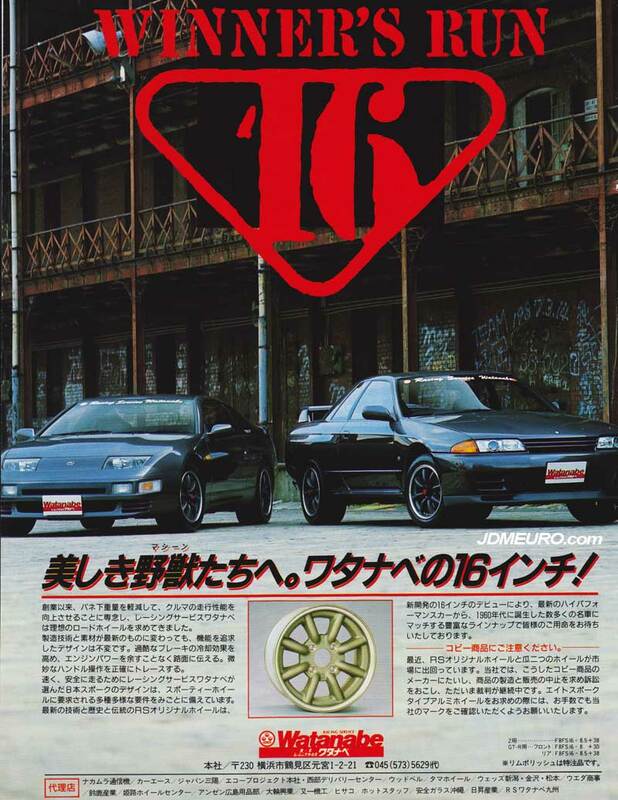 Watanabe makes the quintessential Banana Type 8 spoke JDM wheels in a few different yet similar styles. Due to the spoke shape and lip size, I believe the Watanabe wheels pictures are both the Watanabe F8 type. On the left is a Nissan 300zx Twin Turbo Fairlady Z32, and on the right a Nissan Skyline GT-R R32; both some beautiful Machines. Mint Nissan Skyline GT-R R32 on BBS LM... only 2600 miles!